The Mate Ma’a Tonga team suffered a loss to the Kangaroos on Saturday night, but this did not stop fans and supporters from celebrating the team and their efforts in this historic match. Even when the whistle blew at full time, the stands were still packed with fans who had no intention of leaving yet. 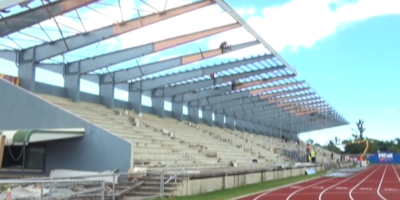 Radio Tonga Sports News Reporter – Vilisoni Tu’iniua who was at the game, reported the atmosphere at Mt. Smart Stadium was phenomenal, and even when the team was losing, they continued to sing and cheer. The Kangaroos captain – Boyd Cordner, even acknowledged that uniqueness of the Red Sea of Tongan supporters, as they showed no hostility to the Kangaroos and sang Advanced Australia Fair with as much gusto as when they sang the Tongan national anthem. The celebrations were not limited to inside Mt Smart Stadium, but the patriotic displays of support even spilled out onto the streets in Auckland, and although the police had blocked of the streets in central Otahuhu, the Red Sea simply took the party elsewhere, parading on the streets to Mangere. This was not only in Auckland too, as right here in Nuku’alofa the supporters made their own celebratory parade, driving down Taufa’ahau Road beeping and blasting music with many dancing in the street and just enjoying the Mate Ma’a Tonga’s game. 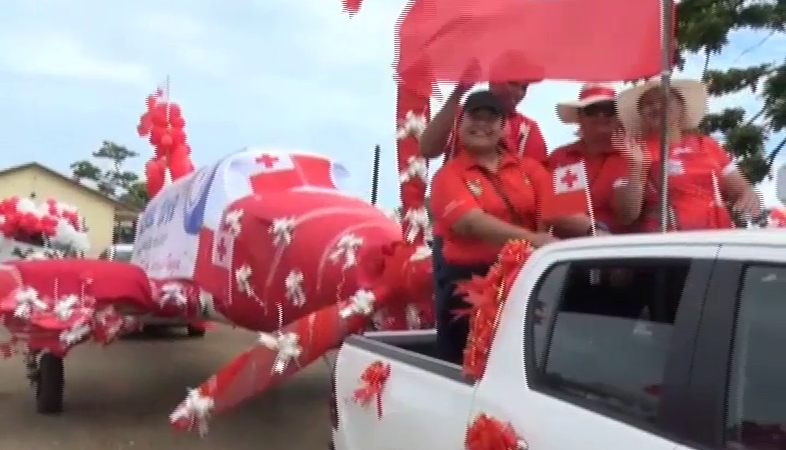 The outer islands also held their own celebrations with Radio Tongas Stringers on each island group reporting float parades taking place after the game. Filomena Hansen from Vava’u said the locals support grew stronger after the game proving that their support is not based on whether the Mate Ma’a Tonga wins or not, but based purely on their love for the team. Moimoi Fakahua reported similar scenes in Ha’apai, saying the people of Ha’apai celebrated despite the final score, as they were deeply appreciative of the boys’ sacrifice to represent our country and put Tonga the map. And put Tonga on the map they did, many fans of rugby league, not only in Tonga and the Pacific, but from all around the world, were showing their support for Tonga, with many expressing their wish to see more and more games where tier 2 nations face the top tier teams. The support for the team had been extraordinary and this match against the Kangaroos was truly one for the history books, no matter the outcome. Their Majesties King Tupou VI and Queen Nanasipau’u were also at the match, with Princess Salote Pilolevu Tuita and Lord Tuita, as well as many members of the Royal Family.